Your baby deserves the best, from her baby crib to her burp cloths. A crib must be comfortable, soothing, and safe. 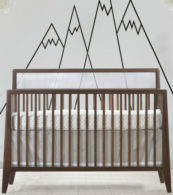 So, if you’re looking for the best baby cribs in Los Angeles, shop at Kids Only Furniture! Our stores offer a wide selection of cribs and other nursery furniture for you and your family. When a couple is expecting, the crib tends to be high on their priority list. It is the place where you baby will spend the first nights of their life. At Kids Only Furniture, we provide new parents with some of the best baby cribs the industry has to offer. Each crib is made from sturdy solid wood, free from harmful stains or finishes. These pieces also meet the latest safety and security standards, and they have the Greenguard certifications to prove it. Your baby will be here before you know it, so make sure his or her room is ready! Kids Only Furniture is here to help you find the best baby crib in Los Angeles. We have three family-owned stores in Burbank, Upland, and Santa Monica. We’ll have what you need! Do you need something specific for your child’s room? 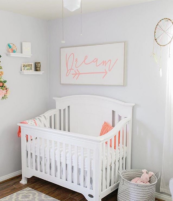 We can work with you to find the best baby crib for you, whether it is from one of our product lines or a customized piece to suit your exact specifications. Just place a call to your local store; we can’t help you ready your baby’s room.